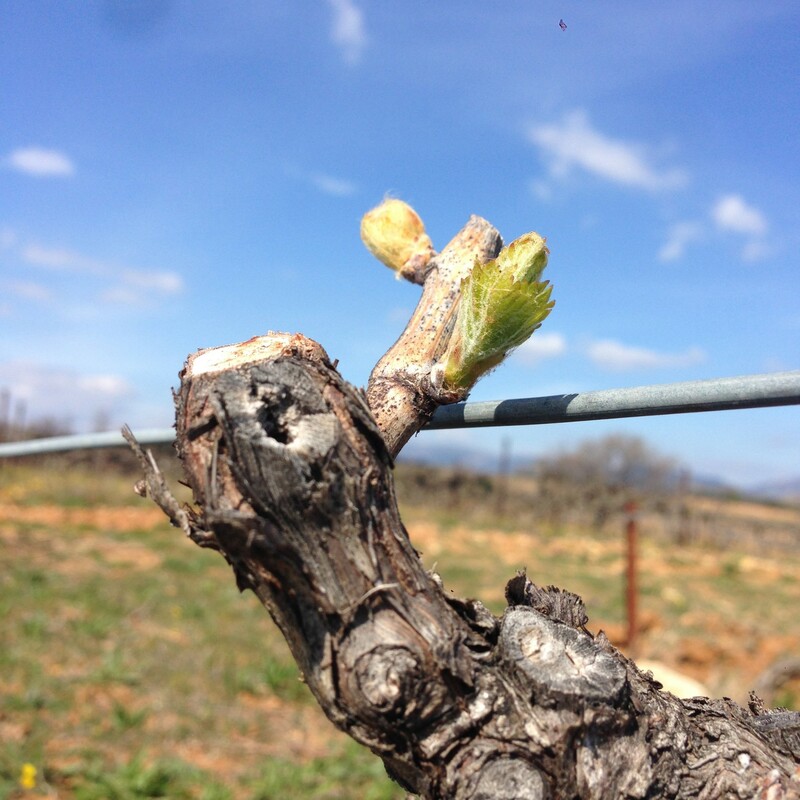 We finished getting the compost down last night and the vines have responded today by starting to open their buds. This vine is in the Vinsobres Grenache plot right at the top of our land with beautiful views across the Pre-Alpes, Mont Ventoux and Dentelles. With the warm sunny weather of the last few days the Mont Ventoux is clear of snow, even on its North face, for the first time since the Autumn. The next job is to get on top of the grass which is also starting to grow well! We are getting a new tool next week to help with the grass and weeds between the vines and I will try to post a picture of that soon. We are also busy in the winery at the moment, taking the La Dame Anglaise 2014 out of the oak barrels where it has been for the last year and replacing it with the La Dame Anglaise 2015. Will also try and post some barrel pictures!